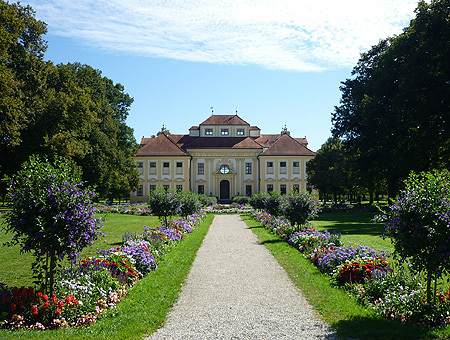 On the occasion of his marriage to the Austrian emperor's daughter Maria Antonia in 1685, Elector Max Emanuel commissioned the architect Henrico Zucalli to build the little hunting lodge and garden palace of Lustheim. The building, at the eastern end of the long baroque garden, originally formed the centre point of a semicircle of round buildings – these however fell into ruin in the course of the 18th century. 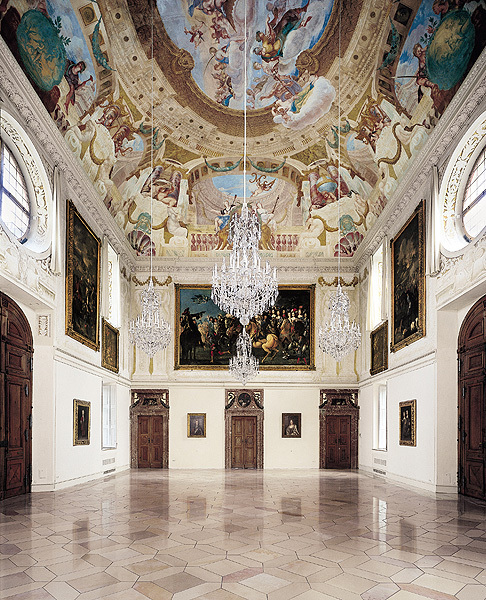 In the palace an important cycle of frescoes by Francesco Rosa, Giovanni Trubillo and Johann Anton Gumpp pay homage to Diana, goddess of hunting. 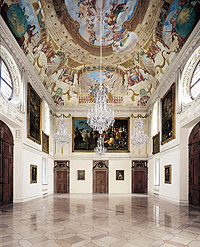 Today Lustheim Palace houses the world-famous Meißen porcelain collection of Professor Ernst Schneider, second in importance only to the Dresden collection.